I love the details you can see in the products displayed here. And imagine having this shop and all these goods on display when you think about what was happening in Europe at this exact moment in 1942! It’s an absolute testament to the freedoms we’ve always enjoyed here in America. August 1942. “New York. 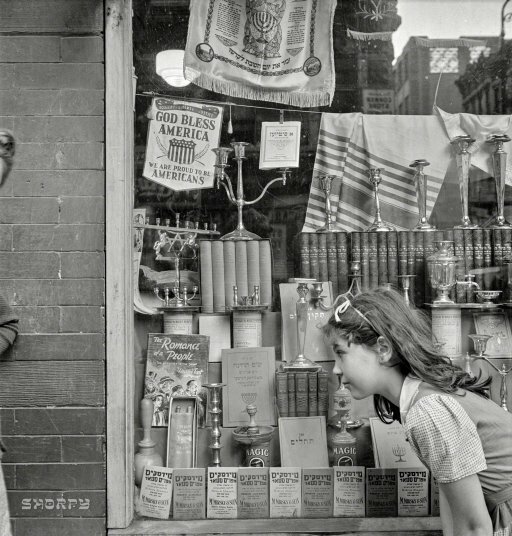 Window of a Jewish religious shop on Broome Street.” Photo by Marjory Collins for the Office of War Information.